Intuition is pure. It cannot be manipulated or somehow infiltrated. It is therefore one of the most valuable resources you could ever develop. There exists thousands of applications for a well-developed intuition, however I would like to exclusively delve into how to intuit deceitful people trying to manipulate you. This particular skill is extremely useful and can be used anywhere from boardroom meetings with business partners to social events with friends. Intuition can be likened to developing an underground intelligence source that allows for a more pure stream of knowledge to be opened up to you. It doesn’t matter what the person said to you, or even how genuine they seem to be coming across, what matters is what you felt while they were saying it, and in some cases before they even opened their mouth. Intuition is the product of self-awareness. Often they are signals and feelings passed down from ethereal beings, such as Spirit Guides, Angels, and even the Higher Self, who foresee a particular outcome falling into your favor if specific advice was followed. 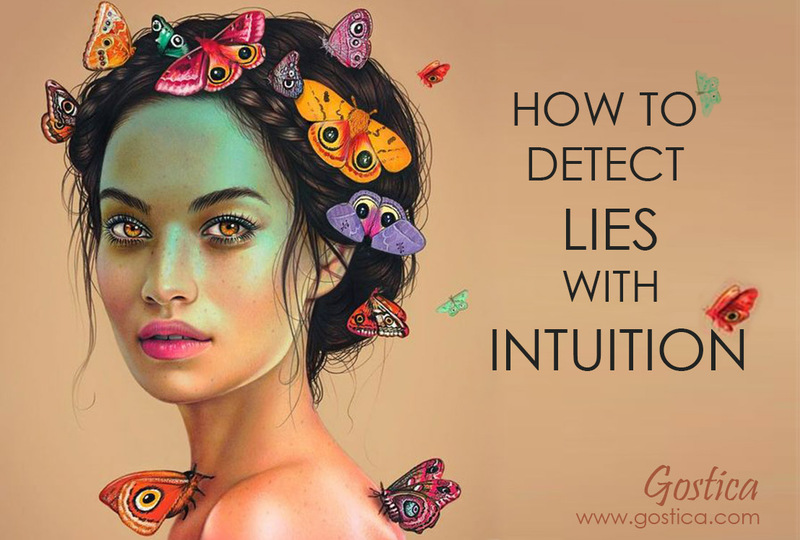 Intuition is therefore a tool to start interacting with the spiritual world via gut feelings, instincts, and messages from beyond. Intuition is consciously developed by opening and developing both the Crown Chakra and Third-eye Chakra. The Crown Chakra is the gateway into the higher planes, and increased activity will allow for more accurate signals to be picked up. The Third-eye Chakra allows for intuition to be transferred into psychic abilities that serve a more on-demand purpose. There is also a brand of intuition that is developed from the Heart Chakra, most commonly felt by Empaths (people who are able to feel other’s emotions and states of mind frames). The Heart Chakra is the home of clairsentience and the conscious development of which will increase the ability to feel the nature of the person standing in front of you. Most people subconsciously develop their intuition without realizing and access higher planes of knowledge for skills they never knew were existing within them. Conscious intuition can be developed by anybody who justifies the time spent in order to develop the skill, and is by far a much more superior path to venture. The primary difference between conscious and subconscious intuition is that the first category allows for intuition-on-demand rather than leaving it up to the subconscious mind to make that decision for you. The more important distinction between them is that conscious practitioners actually believe it exists, while the subconscious practitioners just thought it was pure luck the whole time. This conscious acknowledgment allows for deeper and more effective abilities. I personally developed my intuition while in the casino gambling on the roulette wheels. I used to sit there for hours on end well after midnight forcing my intuition onto the table, trying to intuit numbers before they would hit. It took every inch of psychic power to pick numbers in such a way, and it was over the course of many years that I became extremely proficient in telling how to pick up intuitive signals. The secret is feeling what to do, rather than thinking about it in any rational sense. Such a high level of trust must be established with our bodies and our abilities that we should just fluidly act upon our feelings rather than thinking about its consequences. Every single nudge and intuitive gesture needs to be taken into account. Not a single shred of feeling must be overlooked. When we become sensitive enough to become aware of intuitive signals, the next step would be to trust that intuition beyond a doubt and become one with our Higher Selves. Due to the purity of intuition a stark difference will be felt if we encounter anything not as pure. When we start feeling something is off or wrong, we should definitely not ignore it. Having the patience and trust to pay it active attention is the first step in developing intuition. People who do not have good intentions normally give off an impure aura or signature of energy. With an active Crown Chakra, intuitive practitioners can very easily tell the difference in energies when they come across something of lesser vibrational quality. Feelings of sickness or heaviness in the stomach, nervousness, dark feelings within the back of the mind, distracting feelings that keep bugging our attention span, or even feelings of chills or goosebumps along our skin, are all indicators of such ill intentions being picked up by intuitive senses. When these indicators are felt, it’s time to start analyzing who is standing in front of you, and for what reason they could be lying to you. Recommended : What Level Of Intuition Do You Have? At this point stare into their eyes or windows to their soul and ask yourself Is this person telling me the truth? Is this person lying to me? For what purpose would this lie serve?. It is quite surprising how much information we can gleam by simply tuning into another person energy at the right time. With this new realized state of mind-frame, confront the deceitful person and ask them some extremely direct questions about their activities. Do you believe what you are telling me will honestly work? Why would you like me to follow you back into the office?Are you planning on giving that money back? Are you lying to me..?. If they look like they are hiding something, they start fidgeting, have a smirk on their face, an aura of cat-like curiosity in their eyes, or even start talking faster and avoiding your glare, then this person is not giving off acceptable body language consistent with an honest and genuine person. Your intuition should be playing up big time if straight out lies are being shot at you. I most often feel like I have a sick feeling in my stomach when this happens. This combination of direct confrontation, body language inconsistencies, and pure intuition is a very powerful method. Their true colors will be displayed to you and secret intentions will be made known. An analysis of whether this person should be around you must be deeply contemplated. In the land of energy there is no such thing as hidden intentions of that which serves to negatively propel you forwards. Whether that be small situational lies or an entire life of crime, the process of distinguishing such people is as simple as tuning into them and starting an analytical process. The secret for success is learning how to be tipped off in the first place. Intuition is based on trust in the spiritual world. The physical world however does not uphold such a reputation to be trusted at all. Such a stark contrast should require all intuitive practitioners to be constantly monitoring their intuitive signals for anything suspicious, waiting to unleash their psychic potential upon the world around them like some kind of Western quick-draw gunman. It is most unfortunate that this must be the way whilst meeting and interacting with others. However for those who have been deceived or manipulated in the past, intuition will soon become your new best friend when you realize it never has to happen again. Intuitive practitioners must face a myriad of problematic situations in their lives. Intuitive abilities will always be tested and there are many questions that go unanswered. Should we ever trust another person over our intuitive feelings? Do we trust our self enough to act on intuitive feelings rather than hard evidence? Is it necessary to still go ahead with the experience knowing full well what the consequences are? All of these questions will be made known to you upon the day you come across a deceitful character passing himself off as a friend. Absolutely nothing trumps hard experience, and unfortunately we only learn from experience by being burnt the first time.